Question: What is name of function that allows you to store session data in a database? Answer:It is used to initialize the object buffer, so that whole page first parsed instead of parsing in parts and send to browser. Question: Why whitelists afford stronger protection against attacks than blacklists? Answer: Blacklists words are some bad words (like s*x, f**k etc) that are not allowed to input by users into application. Except blacklists words, all words are allowed to input into the database. whitelists words are those words that only allowed to input by user in application. Except Whitelists, all words removed while input the data into database. Question: What is Session Register? Question: What are new Featues in PHP5? Question: List the Error constants in php? Answer: E_ERROR, E_NOTICE, E_PARSE, E_WARNING, E_USER_WARNING, E_COMPILE_WARNING. Question: What are the advantages of stored procedures, triggers, indexes in PHP? Answer: Stored Procedure: It is set of sql command that can be compiled and stored in the server. Once this has been done, clients don't need to keep re-issuing the entire query. this improve the performance because the query has to be parsed only once. Question: What is difference between cookie and session? 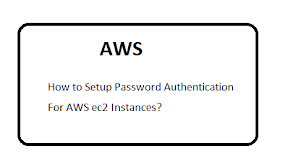 Answer: Session stored in server side and cookie stored in client side. Session is logical object that store the object OR data and preserver on navigation of multiple page. Cookie is stored temporary in browser (like mozilla, IE) and expired after close the browser. Question: What is Persistent Cookie ? Answer: Persistent cookie stored in browser and don't expired after close the browser. It retain the information until manually removed the cookie. Question: Is overloading possible in PHP? How? Answer: Yes, overloading is possible. It is possible through Magic method. Question: Name of php function that Counts the number of occurrences of ever character. Answer: It is high speed access protected area in a computer which is reserved for temporary storage of data. It can be divided into two parts. A) Cache Memory - It is more fast access area(Static RAM). Question: How session is working? Answer: When we create a session, it stored in server side but store the protected key in browser cookie. That's why most of sites stop login functionality when you disable the cookie. Answer: It is framework, written in PHP used testing the code. 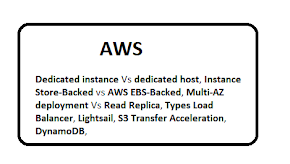 Question: How to Store Session in databases?. Just pass the 6 function name, that will be call automatically whenever you start using session. Question: Get the Images source from the html source? Question: What is traits in PHP? Answer: PHP5.4 implements a method of code reuse called Traits. Question: Difference between Notice, warning and Error ? Answer: Use setcookie function to set the cookie. you can set the cookie name, value, expiration date, domain, secure, httponly. Question: What does a special set of tags <?= and ?> do in PHP? Answer: The output is sent directly to the browser. Question: What is default port of FTP? Question: What is default port of SFTP? 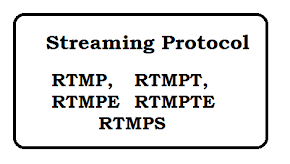 Question: What is default port of SMTP? Question: What is default port of MYSQL? Question: What is default port of HTTP? Question: How to set and get a constant value? Answer: JSONP is JSON with padding, that is, you put a string at the beginning and a pair of parenthesis around. Question: List out the predefined classes in PHP? 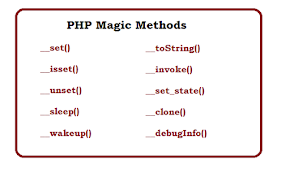 Answer: Following are some predefined class in PHP. Question: What is the difference between session_register and $_session? Answer: If session_start() was not called before session_register() is called, an implicit call to session_start() with no parameters will be made. But $_SESSION requires session_start() before use. session_register() function has been DEPRECATED as of PHP 5.3.0 and REMOVED as of PHP 6.0.0. Question: How to Change the Session name? Answer: session_name — Get and/or set the current session name. Question: How do you capture audio/video in PHP? Answer: Use token system in form. Question: What is the difference between mysql_fetch_object, mysql_fetch_array and mysl_fetch_row? mysql_fetch_object: Returns an object with properties that correspond to the fetched row and moves the internal data pointer ahead. Question: What are the differences between require and include, include_once? Question: What is meant by nl2br()? Answer: Returns string with '<br />' or '<br>' inserted before all newlines (\r\n, \n\r, \n and \r). Question: How to set the response code in PHP? Question: How to get the response code in PHP? How to replace double quoted string with bold. How to check if port is active OR Not?. 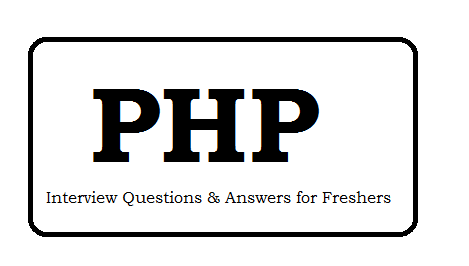 PHP Technical Interview Questions and Answer for 2 year experienced. PHP Technical Interview Questions and Answer for 3 year experienced.